The design was made by Georges De Feure, but the vase was executed by Daum around 1910. 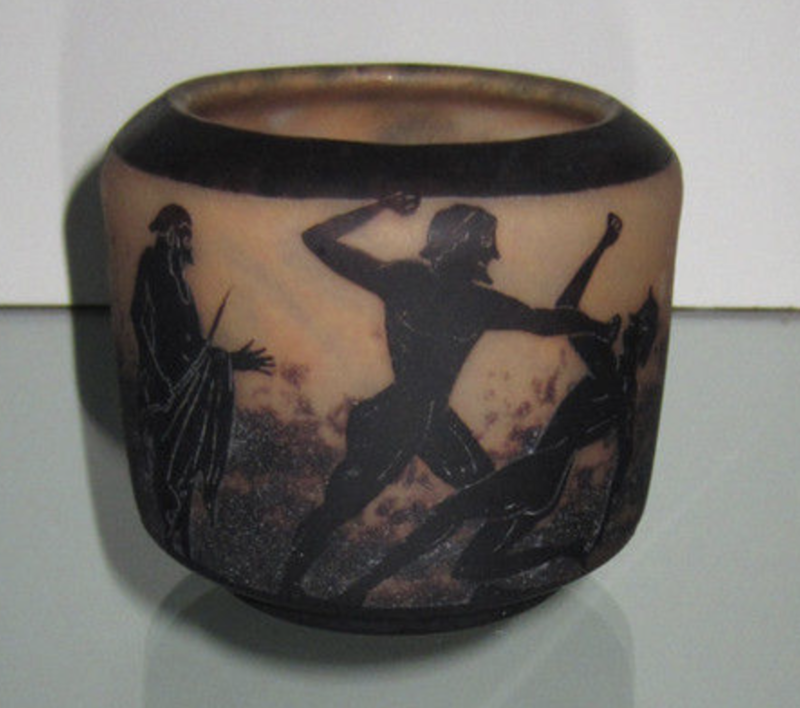 The vase with the Greek athletes is rare. Normally you find the one with the dancing ladies. The athletes are naked as was usual in that period and on one side you have boxers and on the other side runners.